England seamer James Anderson has been ruled out of action for a span of six weeks to recuperate from a long-standing right shoulder injury. England seamer James Anderson has been ruled out of action for a span of six weeks to recuperate from a long-standing right shoulder injury. The decision taken by the English camp comes in a bid to keep the experienced pacer in good shape ahead of the crucial Test series against India which begins at Edgbaston on August 1. “Jimmy has to manage the issue with his right shoulder, and we’ve been advised that the best way for him to prepare for the India series is to take a six-week break from cricket now, initially to rest it and then to work slowly back to cricket,” Bayliss explained. “That six-week period covers Lancashire’s two Championship matches over the next three weeks. We will then monitor to see where Jimmy is at and ensuring he is ready for the India series,” he further added. 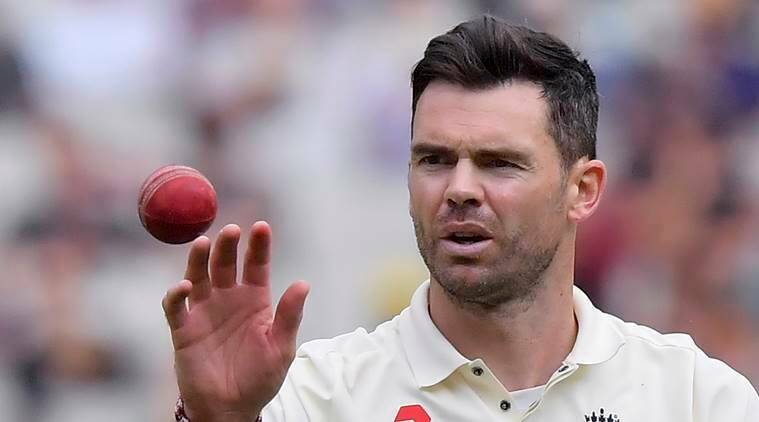 Previously, James Anderson had turned out for his national side in both the Tests of the drawn series against Pakistan where he picked up 9 wickets.